A complete 1 Night stay package! 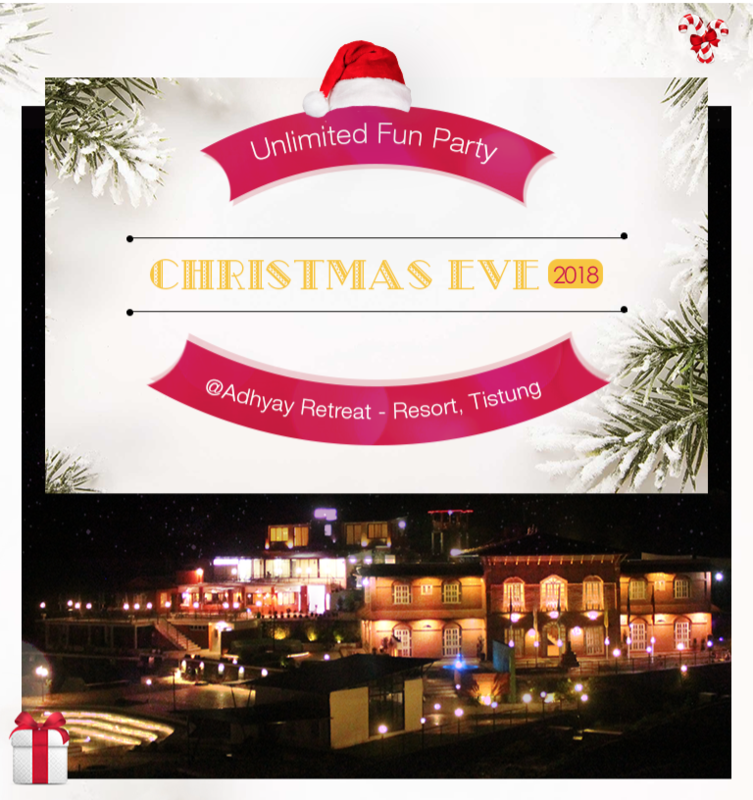 This Christmas – come to a Chitlang, a beautiful small idyllic valley between the hills and right behind Kathmandu and have unlimited fun! 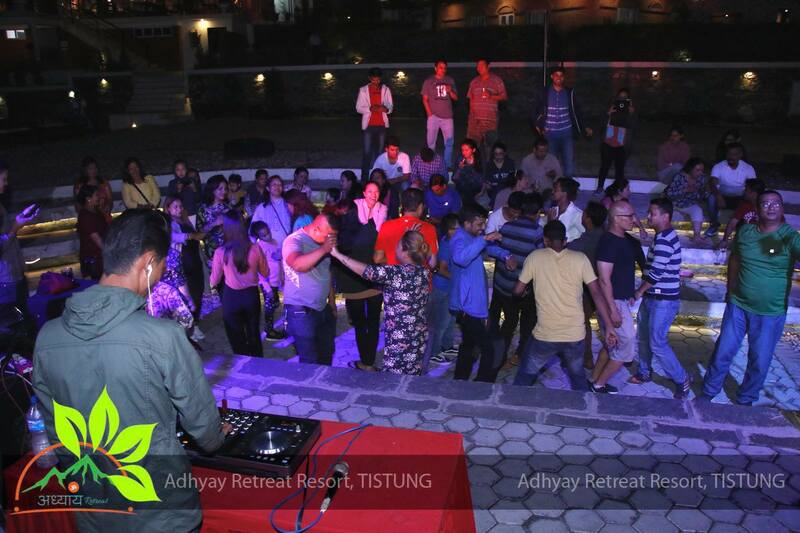 Adhyay Retreat Resort at Tistung is a perfect place to hangout with nature, locals, culture and retreat yourself! A perfect location, weather & atmosphere to celebrate Christmas with your friends, families and loved one. Complimentary drinks – a glass of wine! Midnight Christmas celebration with cake cutting and many special gift hampers! Leave from Kathmandu (2PM) – on your own vehicle. Stop on the way for mountain views, photo clicks etc. 12AM – cake cutting and Christmas celebration – gift hampers! Hangout with nature, short walk, play snooker / badminton/TT / volleyball or other sports. Complimentary drink: a glass of fine domestic wine! > Mics are available for singing etc. wide range of mountains in a good sunny day, from Dhaulagiri in the west to Mt. Everest in the east, sunrise or sunset views (depending upon the time). Or you can hike around the nearby smaller hills and villages for a few hours. > Boating – boating in Kulekhani is exciting and fun. 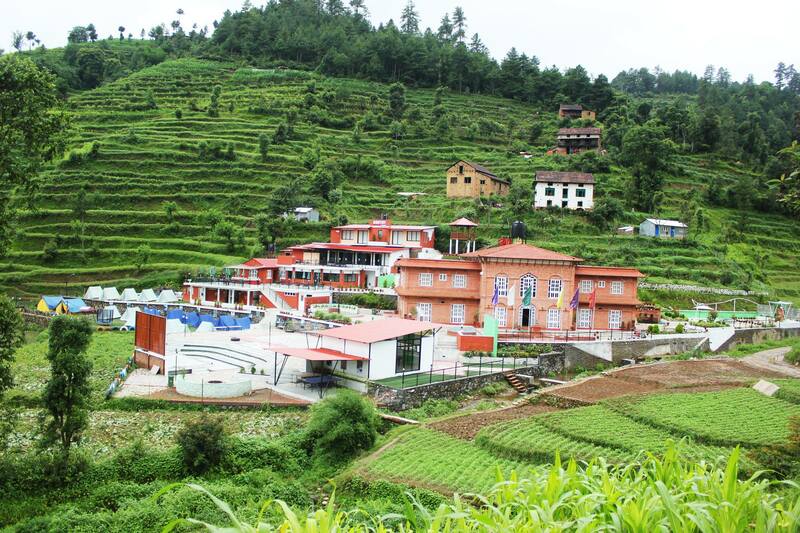 You can go to Kulekhani for boating and also visit beautiful and popular places for sightseeing (Markhu, Vedi farm/goth, chitlang etc). > Team building – you can stay within the resort premises and do a lot of team building activities indoor and outdoor. > Others – Village tour, Jungle safari/walk, Temple (Bajra Barahi / Mahadev) darshan etc. ** 10% special discount on all snacks items. – above 5 years will be charged full. Transportation is available on demand. Rs. 800/- for two way. We’ve variety of domestic and imported drinks in our bar, available in very reasonable prices. Please call us to check if your brand is available! *No outside drinks and foods are allowed.